The Framer's Workshop, Berkeley Ca 94704 Serving the San Francisco Bay Area. This collection of medals amd patches was created by a soldier returning from Iraq for a nurse who cared for him when he was injured. The Community Based Warrior in Transition Unit (CBWTU) is committed to Wounded Warrior care with a focus on medical treatment while the Soldier is at their home. 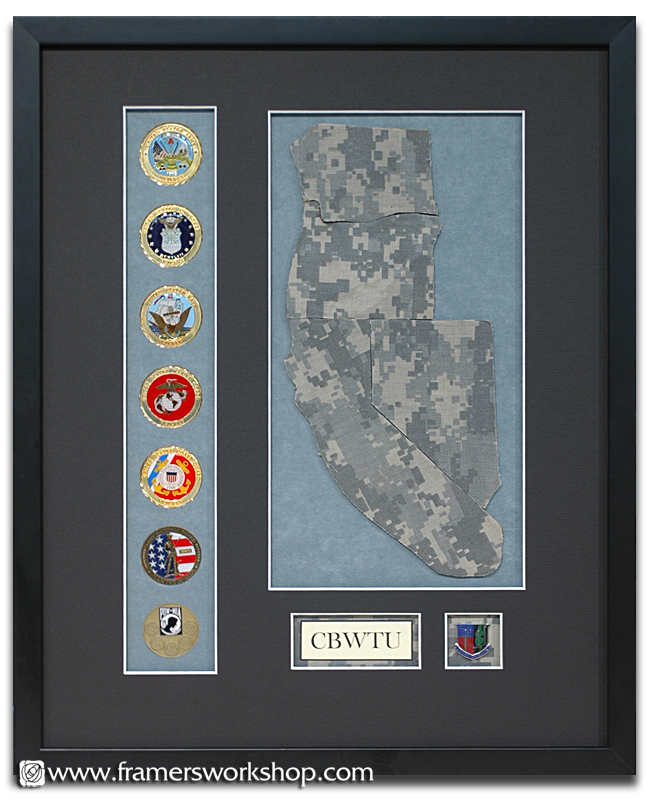 CBWTU provides command and control and medical case management to Army Soldiers injured or ill as the result of their military service during the Global War on Terrorism. This type of treatment allows them to be within their family support network and gives them the ability to receive treatment from local physicians and specialists.